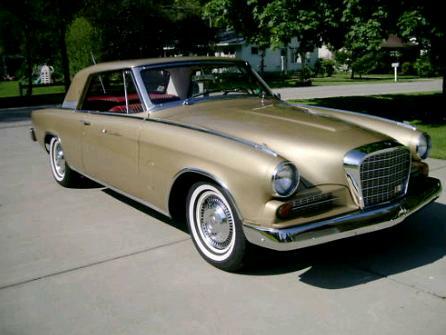 By the late 1950s, Studebaker was all but broke. A series of miscues, mistakes and mergers had left them with little money to develop new cars. The Gran Turismo (GT) Hawk was designed by Brooke Stevens and introduced in 1962. The drivetrain and chassis dated back to the 1956 Hawk (which dated back to the 1953 Starlight). Without much of a budget, Stevens did an incredible job with this car. For all intents and purposes, it looks European. One of the more obvious design features, the grill, was borrowed from Mercedes-Benz, whose cars were being distributed in North America by Studebaker at the time. From certain angles (if you squint) it looks like a distant relative of a Facel-Vega. (Due to his limited budget, Stevens had to use the hood and trunk lid from the earlier 1950s Hawk. Still, somehow, he made it all work.) There are no huge fins and no big swatches chrome running down the side. It's a clean looking car. A V8 engine, of course, powered the car. Buyers had the choice of a 289ci engine with a 2 barrel (210 HP) or 4 barrel carb (225 HP). (In 1963 and 1964 the Avanti supercharged V8 was also available.) The Hawk was relatively quick and handled like a typical 1950s / 1960s American car. 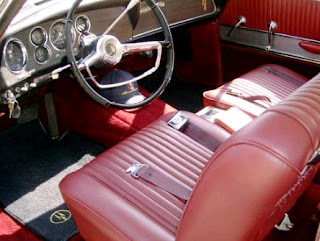 The GT Hawk only lasted 3 model years (1962 - 1964). When Studebaker closed its South Bend, Indiana plant in December 1963, the GT Hawk was among the models discontinued by the company. 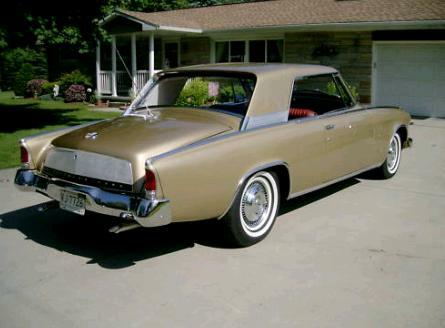 By 1966, the Studebaker car company was gone completely. This car is a nicely preserved / restored Studebaker GT Hawk. This is not the type of car I would buy, but it's a car that makes me think... If Studebaker had been in better financial shape and remained a player in the US auto industry, would this car's underpinnings have been in the style of a European GT car, too? Would the competition have tried to build a car with more European flair to compete with the Hawk? Would there have been a whole series of 1960s US GT-style cars? There are no answers to those questions, of course, and thinking about it can drive you nuts (trust me). Located in Hillsdale, MI, click here to see the eBay listing. Click here to find a good, concise article on the life and death of Studebaker. To me this car doesn't look European at all. And I can't see this one as a possible example for other models to European car manufacturers either. The enterior is very nice though.